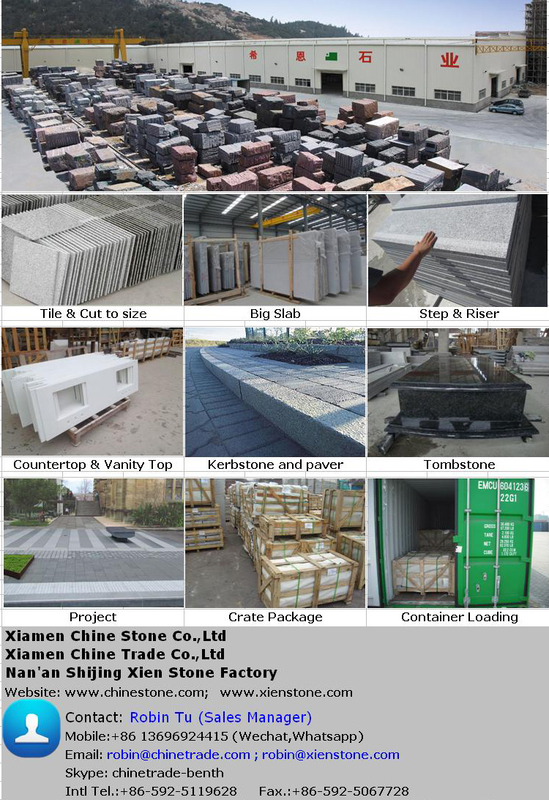 Professional manufacturer of countertop and vanity top. Sink, material can be China grantie or imported grantie from India, Brazil. Norway, Saudi arab...Edges can be FLAT Edge, 2+2 laminaged edge, 3cm bevel edge, ogee...Professional wooden crate packing. Granite and marble are fabricated into countertop for mordern kitchens and bathrooms. With stone, you have unlimited design possibilities, a variety of edge treatments, and a wide selection of colors. Or according to customers' requests. 2) Finish: In standard quality and high polishing degree.